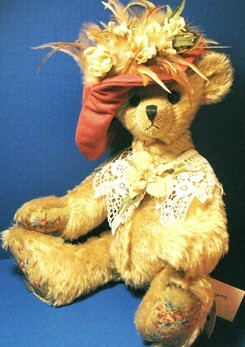 As far back as she can remember, teddy bears have been a part of her life. Before she could walk, her mother started singing the song “Teddy Bears Picnic” to her and the seed was planted. Little did her mother know that, all those years ago, Carol’s love for Teddy Bears truly began. 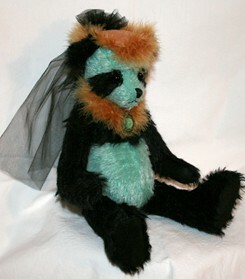 Carol has been making teddy bears since 1996; fulfilling a life-long dream. “Making teddy bears has been a spiritual, life changing experience for me. Within a piece of tapestry, fabric, antique lace collar, a brooch, vintage illustrations of bears, old toys, movies and bears, she see inspiration and the creative process begins. Stuffing and shaping heads, sculpting faces and adding eyes gives them their start on personality. Suddenly the bears come to life. Carol sells her bears primarily by word of mouth but also at live teddy bear shows and on Facebook. She is working on a web site now so she will be able to reach more collectors and participate in online shows. In her spare time, she loves to quilt and spend time with her grandchildren. She is fond of writing little stories about the bears she makes, what adventures they get into; many times using circumstances from her childhood and current events as inspiration to write. Even through a battle last year with breast cancer, Carol has continued doing the thing she loves in an industry that brings her great joy. “One of the things I like most about the teddy bear family is that there are so many nice people involved in it. Teddy Bear people are second to none." 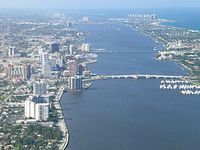 Where is West Palm Beach, Florida?